*2013 Ford Mustang Boss 302* * Low Miles * Only 6 250 * California Car Since New * Clean Title*Factory Options:* * Boss Specific Hood w/ Heat Ventilation Vents * Boss 302 Graphics * Suede Wrapped Steering Wheel * Boss Cloth Sport Seats * Boss Factory Suspension Upgrades * Higher-Rate Coil Springs * Stiffer Suspension Bushings * Larger-Diameter Rear Stabilizer Bar * 19 Lightweight Black Alloy Racing Wheels * 4-Way Exhaust System w/ Side-Exit Exhaust Outlets * Brembo Front Brakes*Additional Info:* * Red Key and Silver Key*Standard Equipment:* * 5.0L V8 * 444hp / 380lb-ft * 6-Speed Transmission * Rear Spoiler * Adjustable Shock Absorbers * Selectable Electronic Power Steering * Ford Sync * Bluetooth * USB * 911 Assist * Dark Aluminum Machine-Finished Trim * 4.2 LCD Vehicle Performance DisplayNEW ARRIVAL MORE INFORMATION COMING SOONFor more information on this 2013 Ford Mustang Boss 302 or any of our 100+ High-Performance Exotic and Special Interest cars always in stock contact one of our friendly and knowledgeable sales consultants or always feel free to drop by our 40 000+ sq ft of Indoor Showrooms in Bellevue WA - Home of an Exciting Inventory of Luxury Exotic High Performance and Collectible Automobiles. With 200+ Always On Site Nobody Has What We Have! This 2013 Ford Mustang was listed for sale on 4-13-19 08:37:26. The vehicle color is Race Red and VIN is not available	. Kindly check ad for seller's location. 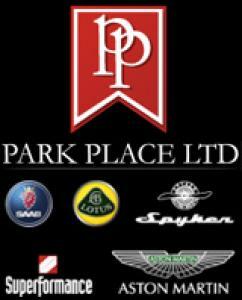 Seller`s stock ID is park17553. There are 139 other Ford cars currently listed for sale on our website. You may desire to see what other Ford cars are selling for by visiting our Sales Data page.